This is going to be where you can introduce yourselves & your truck camper demountable rigs. It will also be an opportunity for potential new demountable owners to see what they're all about & to be able to view a camper local to them. I'll get the ball rolling with my brief history of ownership. This is the link to my demountable camper history. I'm in Bolton, Lancashire & if anybody wants to come & have a nosy over a brew on a weekend, then just send me a pm. And if you are down on the south coast and would like a look I'm based just off the A350 between Poole and Blandford. Athough newish to the group I've been a demountable owner for coming up six years. Firstly with a fairly normal type of set-up a 2005 Mitsubishi L200 doublecab with an Apollo demountable. Latterly, however, I have had a new Northstar built in the USA which sits on a Land Rover Defender 130" wheelbase doublecab pickup. My wife and I are really enthusiastic demountable owners and have traveled with it extensively together with our springer spaniels (including a mad trip when we covered 3000 miles and visited 11 different countries in two weeks). I also use my truck as, well, a truck so its not sat idle for 11 months a year like most motorhomes tend to be. If you are thinking about taking the plunge and want some advise please get in touch. I have the other Northstar on here. Apollo and a Navara D40. Just 12 months of ownership, so pretty new to the demountable scene, enjoying it and learning lots from the other site members. We're in Wigton, Cumbria if anyone ever needs anything. Potential buyers are more than welcome to drop by and take a look at our camper - lots of 'motorhomers' holiday on our coast so feel free to give me a call - PM me here and i'll let you have my phone number. We travel overseas too with a specific specialism in Greece so also happy to discuss travel, ferries, where to stay. It seems Springers are the dog of choice for demountable owners! That's three of us with five between us. We've recently bought an Apollo and replaced our Mitsubishi L200, which we collected it on, with a VW Amarok. We are very new to this having not actually been out in the rig camping yet due to having to fix virtually everything in and out (see other threads re rot and water heater etc) but it's now ready to roll, just need the season to come round. 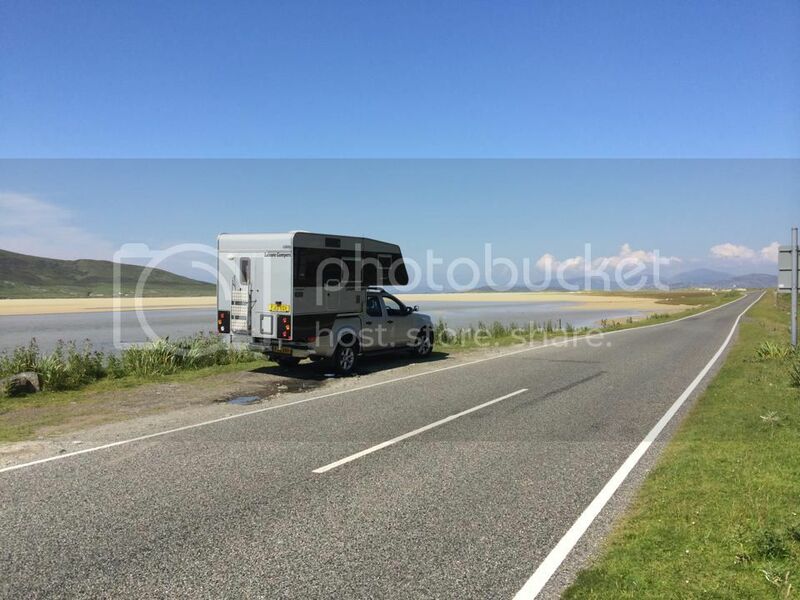 Like most demountable owners having the truck for its own benefit (for us - mainly logs and coal, helping mates out with fridge freezers) is the key, why have another vehicle to tax and insure in the way of a motorhome, sitting on the drive for most of the year? We're in Somerset in the area of Weston-Super-Mare / Wells / Burnham-on-Sea. Happy for anyone to have a look. Last edited by FinAde on December 12th, 2014, 11:28 pm, edited 1 time in total. FinAde wrote: just need the season to come round. If the heater is working etc etc then get out as soon as you can.